i was sitting underneath the shade of swaying coconut trees trying to figure out the country of origin of the young people behind me while listening to the sounds of kulintangs as they drifted into the ampitheater that faced an empty stage. 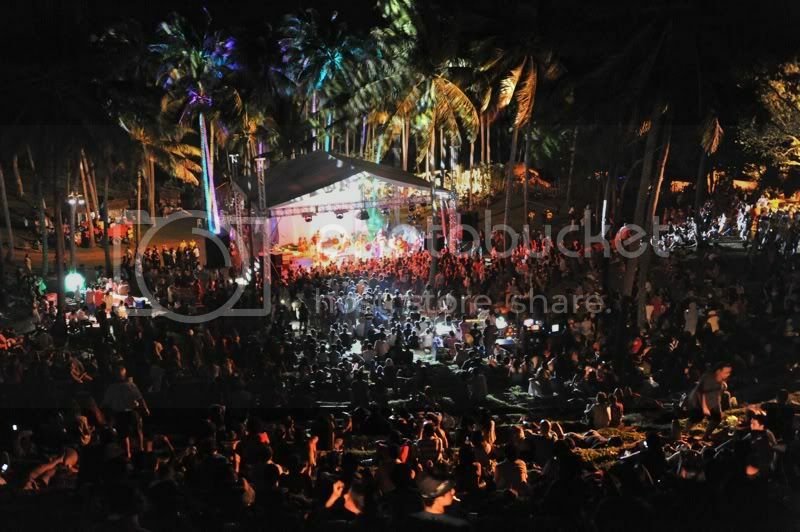 it was the second malasimbo music and arts festival, and i arrived here shortly after 5pm, following an almost catastrophic boat ride and a long walk that resulted from avoiding enterprising tricycle drivers. i have heard of this festival before, although i was somewhere else last year when they staged it. when the opportunity to go this year came along, i grabbed it, notwithstanding the fact that i would be going alone. i got my camper's band, and a day pass, which, combined, set me back P1,500. i later found out that many of those who camped didn't pay the camper's fee, which kind of pissed me off since we were promised facilities, but had to queue for the lone shower in our area. i pitched my tent on a clearing near the parking lot, and made my way down to the sprawling festival venue. people's future was performing when i got there, and the ampitheater, whose slope had been shaped into stadium seats, was nearly empty. 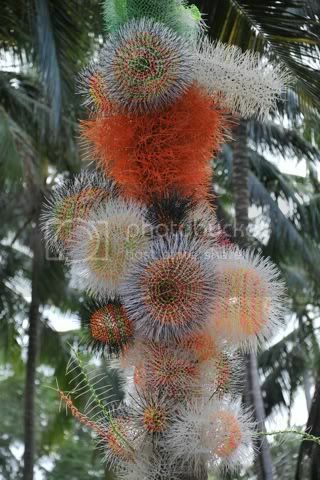 works of art were scattered all over the area, which was so manicured it resembled a portion of a golf course. there were mats on the ground. at either side of the stage were areas where they sold beer. behind it were food concessionaires. to the right was the mangyan village, where they built examples of indigenous architecture. a woman was threading plastic beads into a bracelet, while others were selling colorful bric-a-brac and weaves. there was also a smaller stage for parallel performances. i wasn't particularly drawn to the festival because of the music. i am not a big fan of any of the performers and would probably even prefer not to listen to radioactive sago. but i just wanted to be there and see for myself what it was all about. this country has so much talent in the field of music, it makes one wonder why something like this, spread over 3 days, has not caught the attention of mainstream consumers. 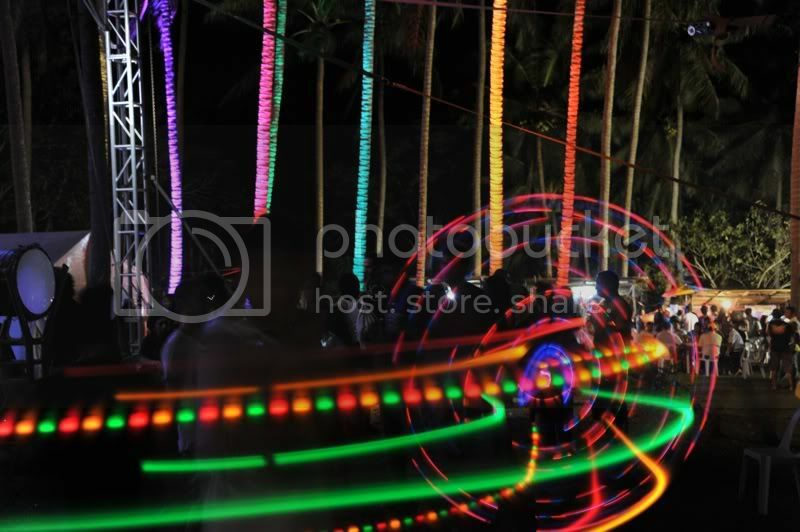 of course, there was nothing mainstream about the people who attended, judging by the number of people sporting dreadlocks and tattoos and the fact that marijuana was smoked openly, although members of puerto galera's police force were visibly present. for that saturday, the festival featured, aside from those already mentioned, chillitees, sinosikat, kristian fernandez, DJ bad kiss, feen, and junior kilat. some of these groups are actually quite famous, and have a following of their own, but what really carried the evening were the performances of paul zialcita, brigada, and joe bataan. both paul and brigada played percussion instruments. paul had done a workshop that afternoon and invited young mangyans to play with him. he got the audience to rise from their seats and jump to the sound of thumping water bottles and drums. brigada played familiar festival tunes with a variety of instruments that were pounded by hands and sticks. they infused the beats with rhythms from world music, and they were so loved by the audience, we asked for two encores. 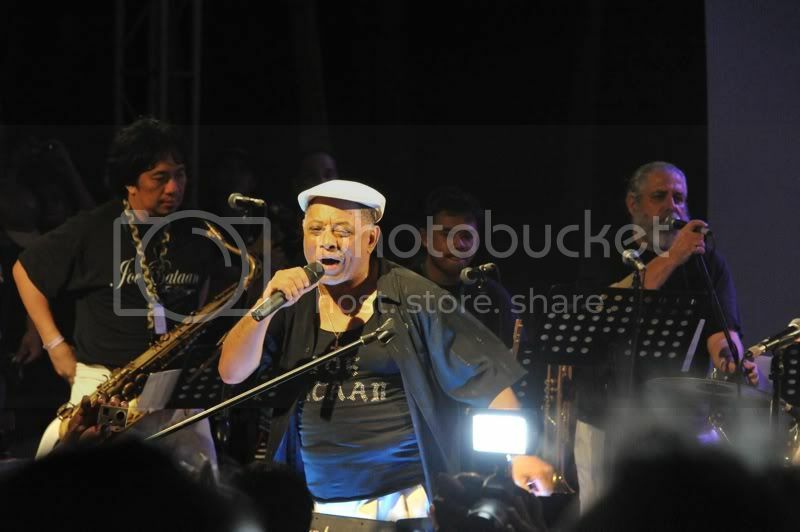 joe bataan, an american of afro-filipino lineage (he pronounces his last name as batahn), played music of mostly spanish harlem inspiration, and got the crowd dancing. he had come with two back-up singers and a trumpet player, but performed with a full band he had just met two days prior: he couldn't help but heap praises on local talent. the festival was a unique and special experience which i would have wanted to share with more of my friends, although i did know a lot of people who were there. for a brief moment i could not believe we had something like this in the philippines. i was wondering whether this was going to be our version of burning man, but that will probably not happen if they keep it prohibitive. the price tag on the festival is really steep, and the cost of the food is ridiculous: P50 for a manila light beer or a small bottle of water or a stick of banana q. a friend said it may have been purposeful: this is what you pay to keep undesirables away, and the quality of the crowd was particularly glossy: lots of beautiful people with familiar faces, countless foreigners, and filipinos who preferred to speak english. the festival had a really good vibe. the music was pretty good, regardless of the kind of music you like. the organizers (which, to my slight disappointment, turned out to be foreigners) did not scrimp on the quality of the sound. the line-up of performers was impressive: no little-known rock bands formed in school or at garages and the hordes of orcs they seem to attract (cue the UP fair here). it was well-organized, and i felt there was no threat to my safety and security. the experience felt very genuine and sincere, like kindred spirits convened in a place for the love of music and art. the only thing that might ruin this, i thought to myself, was a fire dance. and that is exactly what happened. you can keep out the orcs, but there is no sieve for pretense. 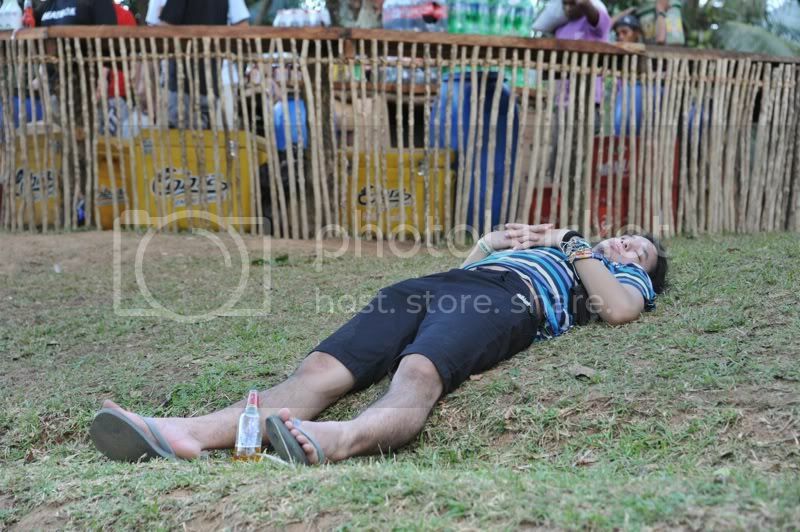 i may have a few suggestions to improve the festival: first, get san miguel to sponsor the drinks, since i wasn't even half tipsy after 5 bottles of manila light and 3 tanduay ice. the foreigners were looking for red horse. second, make the cost of food more reasonable: even those who can afford were surprised at how much they had to pay for a sandwich, 5 pieces of siomai, a glass of coke, or even a bottle of water. 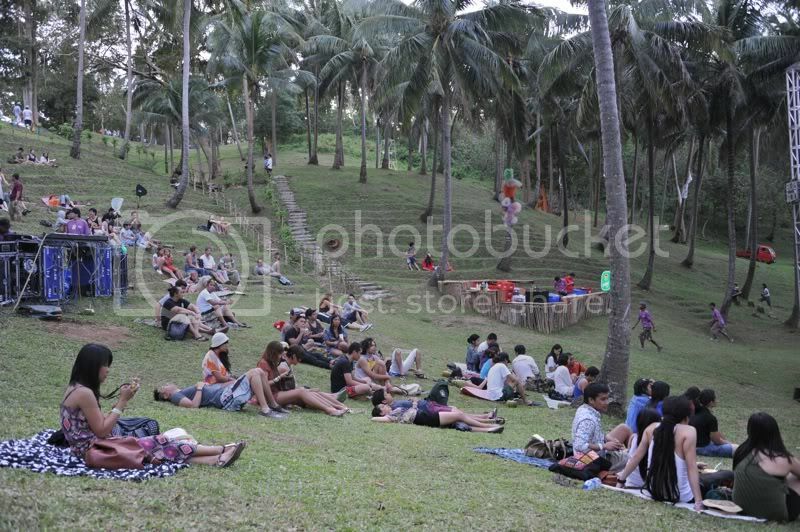 third, make camping a more attractive alternative, because the venue isn't near any of puerto galera's tourist spots. fourth, have more trash cans available (although there were these kids that kept picking up trash the entire evening. at around 4am, i didn't realize i had fainted. before i found myself sleeping on the ground, clutching my cameras, i had been up for 20 hours straight. i was exhausted from dancing, standing, looking around, visiting the toilet, exchanging pleasantries with strangers. junior kilat was rapping something unintelligible on the stage and only a bunch of people had been left standing in front of him. i slapped myself a little and walked up to the campsite and fell quickly asleep. i woke up an hour and a half later to a wonderful dawn but decided to sleep until 8am. i walked back down to the main road with the intimate knowledge that i'd most likely be returning, the smell of weed, dreadlocks, tattoos, and pretense notwithstanding. another great fun festival we all miss!